OLYMPIC champion Leisel Jones says Emily Seebohm and Mitch Larkin need to check their emotional baggage at the door as the Australian team moves into the final preparations for the Pan Pacific Championships. Jones questioned reports that emerged at the weekend suggesting Seebohm was instructed by swimming officials to stay away from the team's camp in Cairns because they didn't want to upset the preparation of ex-partner Mitch Larkin. Jones said coming into camp 10 days later than most of her teammates was more likely to have been Seebohm's choice. "I would have to question that report, I don't think the heads of Swimming Australia would ever tell Emily not to come into camp," Jones said. Jones agreed with coach Jacco Verhaeren's assessment that the Seebohm-Larkin breakup would not disrupt the Australian team. And she could not believe it was still an issue in the media. "I cannot believe this has been going on for so long," she said. "It's a relationship break-up, who cares? Just let them live their life, it's not interesting." 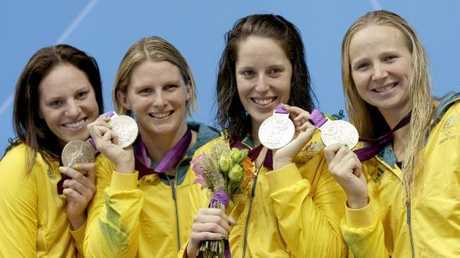 When it was suggested to Jones that interest had kept bubbling because of Seebohm's constant social media posts though, the Olympic gold medallist agreed. "It's only adding fuel to the fire. Just let it go," she said. Swimmer Emily Seebohm posted a picture of herself doing pole dancing. While not wanting to have a go at former teammate Seebohm, Jones suggested she had been "behaving questionably" with some of the social media posts she had been making. "They're grown adults - some behaving questionably, I'm dancing around it. 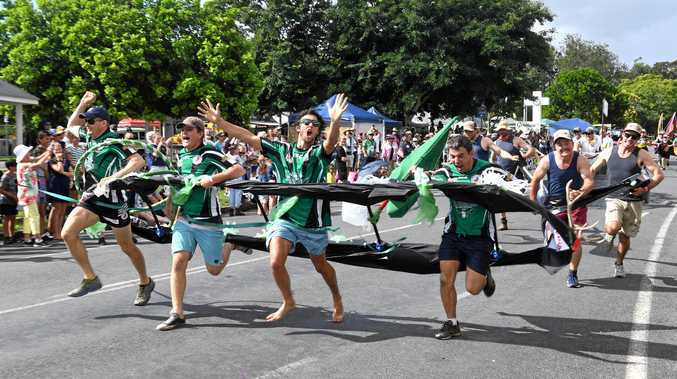 "But you've got to make sure that you're grown adults, you're working in a team together, for the Australian team, for the green and gold to perform better. "So you've just got to get over yourself, leave your baggage at the door and just get in and get the job done. "Stay off social media, don't be posting any cryptic messages and just get on with the job." Jones said unless the team had changed markedly since she left at the end of 2012, team bosses would not have ordered Seebohm to stay away from camp. "They're always about fairness, they always want people together as the team and they would never tell anyone to say: 'You can't come into camp because of what's going on with that person'," Jones said. "I think that probably would have been more Emily's choice, they would have left that up to her. "They want fairness for everyone, they want everyone to have a great preparation heading into Pan Pacs." 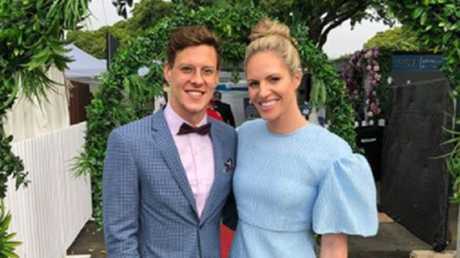 Emily Seebohm and Mitch Larkin have played out an ugly break up. The Australian swim team left Cairns for Japan on Saturday and will put the finishing touches on their preparations for the August 9-14 Pan Pacs in Nagaoka, north of Tokyo. And Jones believes they will perform as a united group, with the Larkin-Seebohm breakup unable to disrupt them. "It doesn't have the ability to tear them apart because I think they are so close and there won't be people that side with one person or the other," she said. "It would take something a lot bigger than this - and we've seen it in the past - a lot bigger than this, to separate a team."